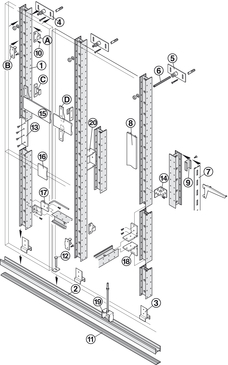 Supporting profiles joined with 70/70 slide-in connectors, connecting strips of panel material (Multiplex, MDF) or 8 mm threaded bars (M8 nuts/washers). 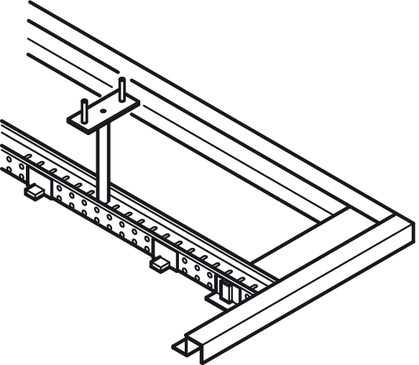 Floor-ceiling connection with floor and ceiling profiles and profile connectors. Panels are hooked in with Keku EHS fittings. 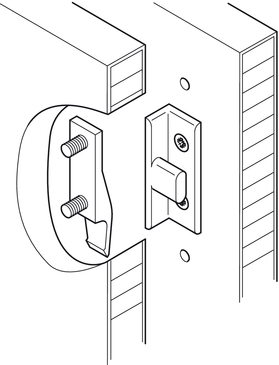 The supporting profile is engaged in the floor profile with the profile connector. Height compensation of up to 30 mm is possible. 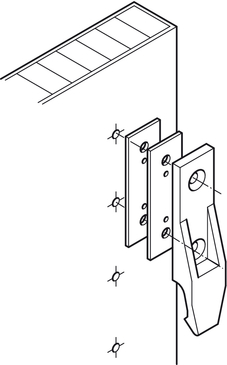 The profile is fixed to the wall with the 3-D wall fastener. 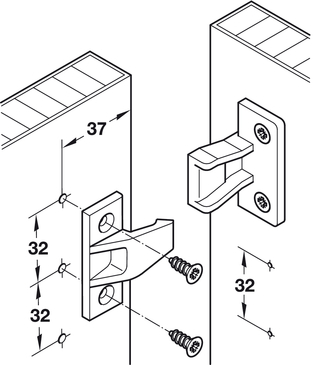 Adjustment is possible in all directions with the 3-D wall fastener. The panels are secured to the supporting profiles with Keku fittings. Supporting profiles suspended with threaded bars, M8 nuts, approved metal plugs and 3D fittings. 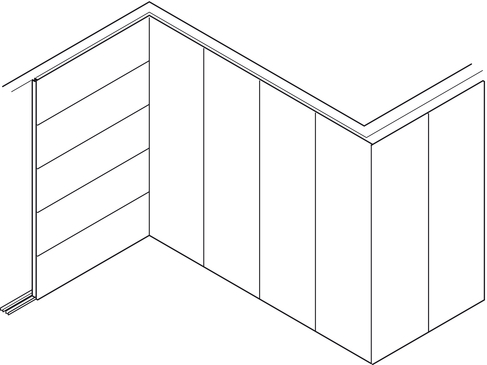 On the walls, ceiling profile for mounting the supporting profiles with profile connectors and support of the trim. Large-surface ceiling panels, slide-in mounting with Keku EHS fittings with lip. Trims with slide-in mounting with Keku ASR fittings. (Only slide in narrow trims). Panel length at intervals (length/32) with same drilling pattern for Keku fittings. 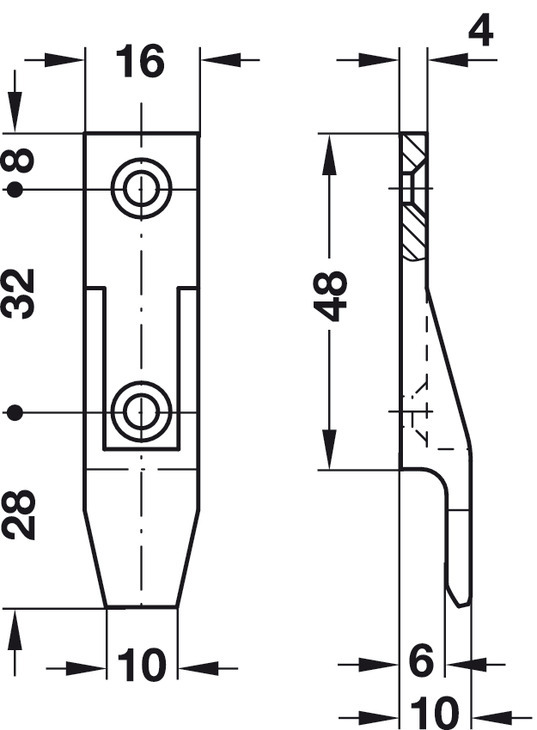 With gap profile for panel gap of 3–30 mm. 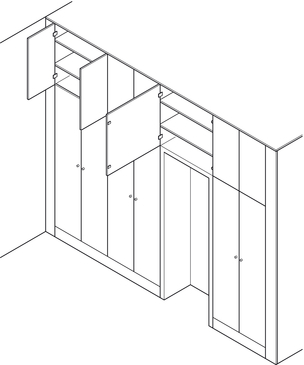 Top unit doors that are mounted to the supporting profile provide easy access to the building equipment. More information can be found in the application brochure at www.hafele.com. Häfele Keku R is used for interior fitting stores and exhibition booth construction. The Häfele Keku R room system is a substructure made of aluminium profiles, used for cladding walls and ceilings.. 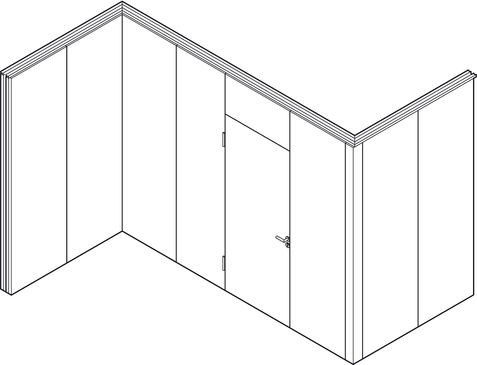 It is also suitable for creating freestanding lightweight and double partitions. 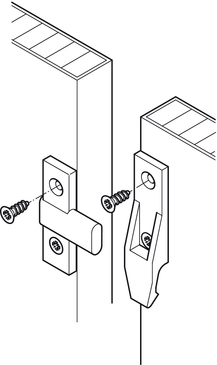 Different fitting components are available for fixing the supporting profiles. The Keku R system fittings that are attached to the supporting profile allow cladding elements to be removed and hooked-in again, e.g. for retrofitting. 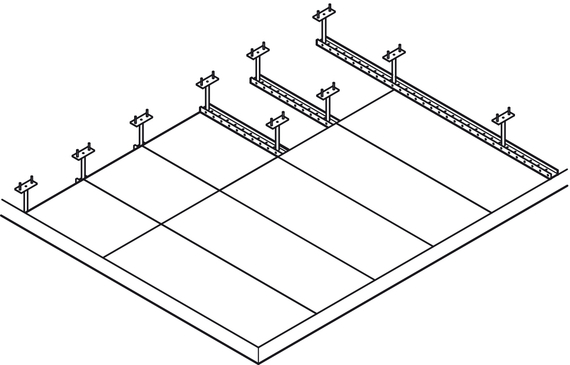 The combined use of panel components with and without lip on one panel reduces the overall snap-in function.